The expected in-stock date is Saturday, May 18. Product contains milk, egg, wheat, and soy. Produced in a facility that also processes peanuts, and tree nuts (pecans, almonds, coconut, cashews, walnuts). This collection of sauces brings the heat! 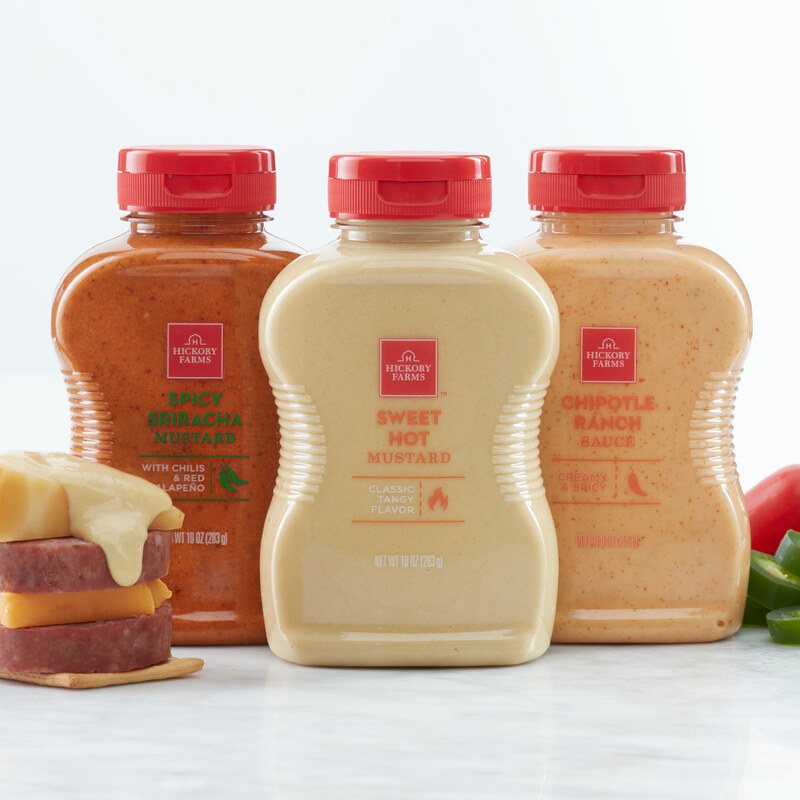 Chipotle Ranch Sauce, Sweet Hot Mustard, and Spicy Sriracha Mustard are all creamy, savory, and spicy condiments that make a great addition to any meat and cheese spread, sandwich, or snack!